Power Solutions was recently named GE Critical Power’s Partner of the Year! Congratulations to our Critical Power Team! General Electric is synonymous with quality for consumer, industrial, and enterprise electrical applications. With the addition of UPS systems to the GE Critical Power product line in North America, General Electric gives customers another reason to put trust in the GE name. GE’s Critical Power Division offers mission-critical facilities a range of UPS solutions to ensure that data and equipment are protected and processes are not interrupted. GE Critical Power UPS Systems provide continuous power supply and conditioning for a variety of applications including data centers, hospitals, financial institutions, telecommunications networks, wind energy, transportation, industrial and others. And whether its 1VA or 1MW that needs protecting, GE’s Critical Power UPS products provide best in class reliability and efficiency for safe uninterrupted power. GE Critical Power UPS systems offer revolutionary eBoost technology to provide best in class efficiency of up to 99%. This high efficiency enables data center managers to dramatically reduce operational expenses with significantly lower costs for cooling and utilities. 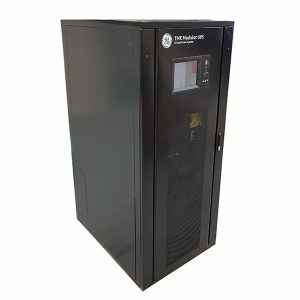 GE Critical Power has chosen a select few of their most successful partners to carry their line of UPS Systems and Power Solutions is proud to offer these state-of-the-art power protection products to our customers.